Despite being the host of the National Tourism Year 2011 with many scenic spots, beautiful beaches and tourist attractions, Phu Yen Province is still having a lot of its tourism potentials untapped. This was a view shared by tour operators in HCMC and tourism officials of Phu Yen at a conference on Phu Yen tourism promotion held in the city on Thursday. In 2010, Phu Yen welcomed 350,000 tourist arrivals. With a massive investment in the tourism year, the number of tourists rose to 500,000 in 2011. This year, the tourist number has not exceeded half a million. “Phu Yen has potentials but it is hard to bring visitors there,” said tour operators in HCMC. 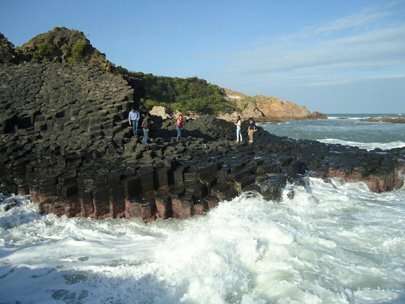 To unlock the tourism potentials of Phu Yen, tour operators said there should be a large-scale promotion program to attract tourists and better investment in roads, sanitation and utilities at tourist destinations. The Phu Yen-based companies need a price policy soon so that partners in HCMC can develop products, do promotions and sell tours. Nguyen Huu Tho, chairman of the Vietnam Tourism Association, said one of the disadvantages of Phu Yen was its great distance from HCMC, pushing up the cost of operating tours. In the current difficult situation, the Phu Yen Department of Culture, Sports and Tourism should organize a big promotion program lasting about two years to stimulate tour sales and advertising. Nguyen Minh Quyen, deputy director of Ben Thanh Tourist Travel Service Center, said Phu Yen not only should introduce its services to travel companies but also needs to join hands with airlines and service suppliers to draw up a plan to develop tourism. “If the province cooperated with air carriers having tens of thousands of promotional tickets, prices of local services would go down and we could sell tours,” he said. Tour operators proposed Phu Yen invest more in traffic and sanitation at tourist sites so that they could bring tourists there. “I once brought tourists to Da Dia Rock Reef for camping on a full-moon night. They really enjoyed the trip but this great feeling was incomplete because there was too much trash around. This must be addressed,” said Vu Hoang Long, director of 3T Travel Co., specializing in camping tours. Representatives of many travel firms said Phu Yen should focus more on camping tours rather than only attracting tourists to luxury hotels and restaurants because many other localities near HCMC already have this type of service.